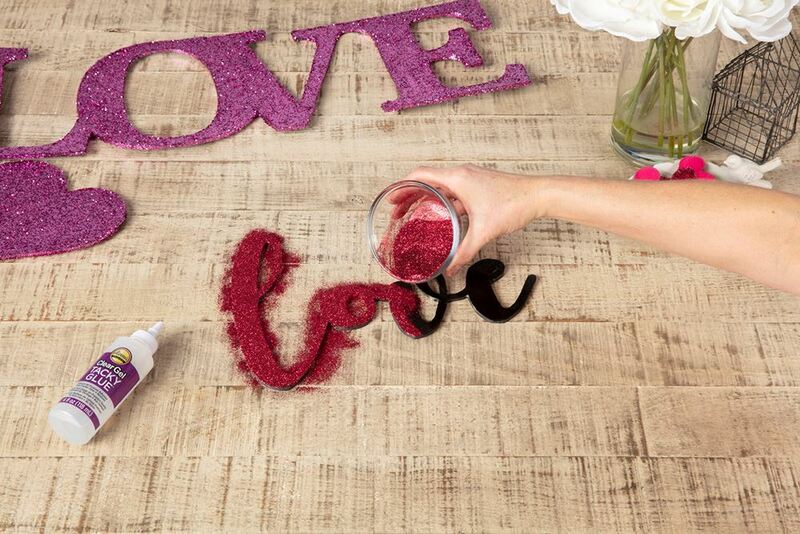 Glitter and LOVE ... two things that go perfectly together, if you ask us! 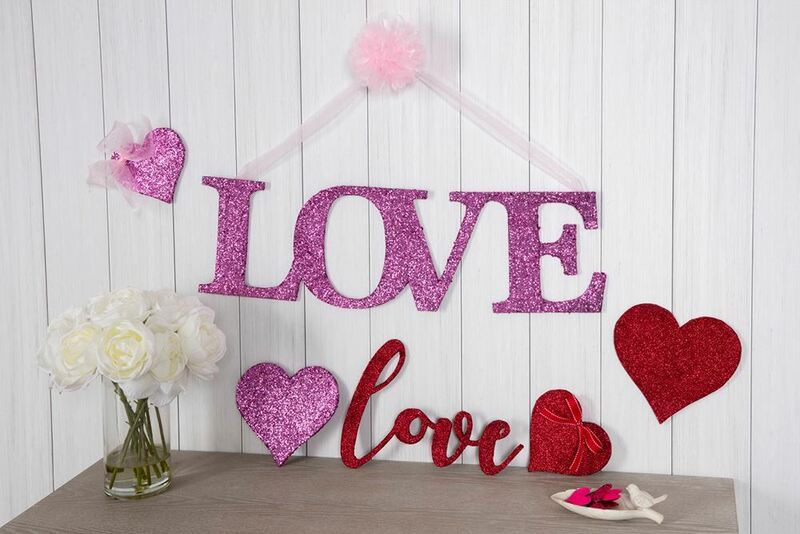 This handmade glitter LOVE sign sparkles with sentiment and is a fab way to decorate for Valentine's Day, a wedding or just an everyday way to show your love. Think it's expensive to make? Think again! 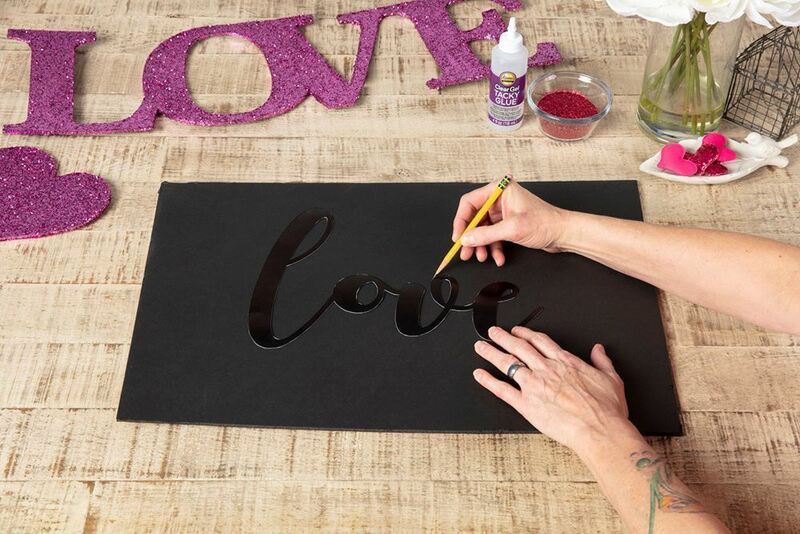 Grab a bottle of Aleene's Clear Gel Tacky Glue, a foam core board and some glitter, and you are ready to make a sign that'll capture your heart. 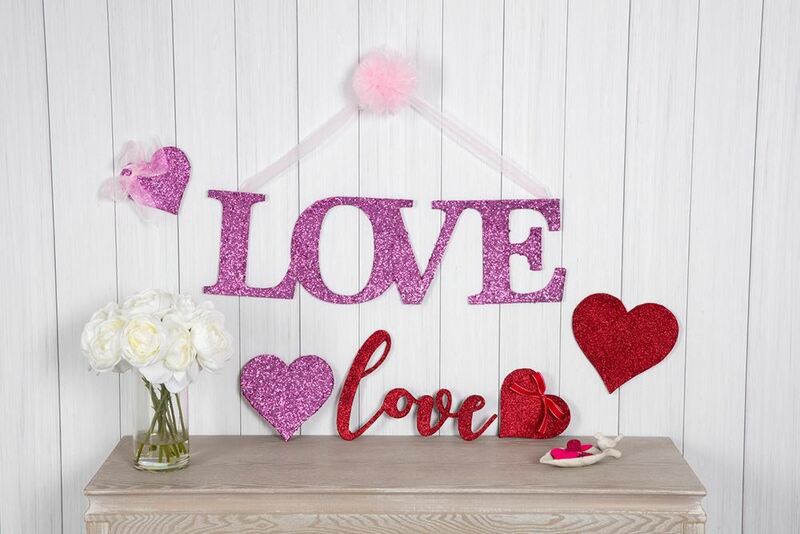 Print out the word "LOVE" (or themed word) in desired font and font size. Cut out, then place on foam core board and trace with pencil. Use a craft knife to carefully cut out word from piece of foam core. 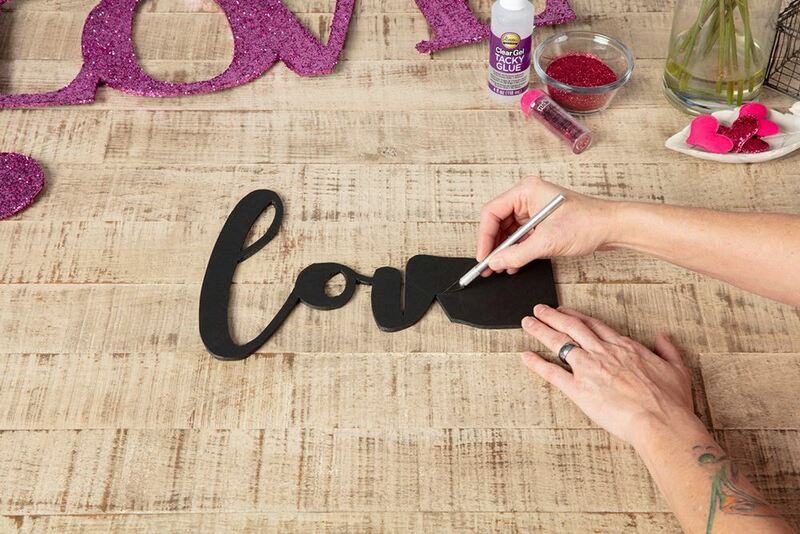 Squeeze some Clear Gel Tacky Glue out onto foam core word and use a paintbrush to smooth out an even layer of glue over entire surface. 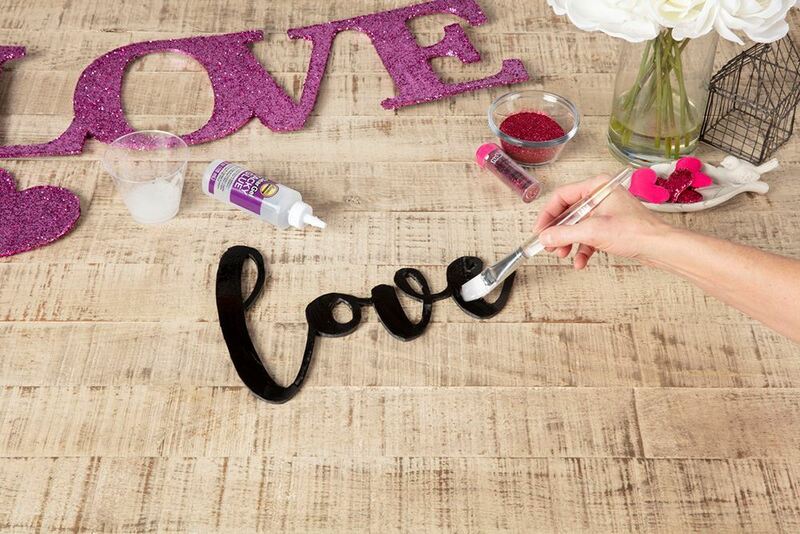 While glue is still wet, sprinkle on glitter. Use fingertips to gently press down on glitter then shake off excess and let dry completely. If desired, attach a ribbon to the backside on each end to create a hanger, then hang and enjoy!